Earn 30,000 bonus FlexPoints worth $450 on airfare, hotel stays, car rentals and more. Earn triple FlexPoints at restaurants2 — whether it's a highly-rated hot spot or your regular corner cafe. Dining out can lead to adventure. For Jorge, the U.S. Bank FlexPerks Gold American Express Card offers a truly appetizing thought: he earns 3X FlexPoints at restaurants. So every meal, snack or beverage purchased with his Card can help him get closer to redeeming rewards - whether it's for merchandise, gift cards, cash back5 or travel. One card. Many premium travel beneﬁts. 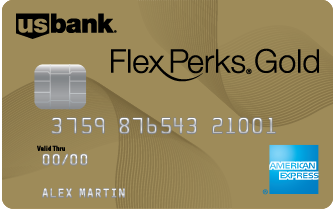 The FlexPerks Gold Card includes smart chip technology to provide better security and convenience when you use your Card at a chip-enabled terminal. 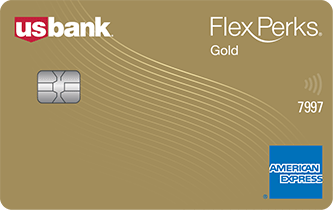 U.S. Bank FlexPerks Gold American Express includes TSA PreCheck or Global Entry Fee Reimbursement. Capital One Venture Card includes TSA PreCheck or Global Entry Fee Reimbursement. Chase Saffire Preferred Card does not include TSA PreCheck or Global Entry Fee Reimbursement. U.S. Bank FlexPerks Gold American Express includes Complimentary Boingo Wi-Fi. Capital One Venture Card does not include Complimentary Boingo Wi-Fi. Chase Saffire Preferred Card does not include Complimentary Boingo Wi-Fi. U.S. Bank FlexPerks Gold American Express includes a $25 Airline Allowance. Capital One Venture Card does not include a $25 Airline Allowance. Chase Saffire Preferred Card does not include a $25 Airline Allowance.